The Harrogate range is a luxurious option for the conservatory. Comfort and solid classical appearance are its foremost features. 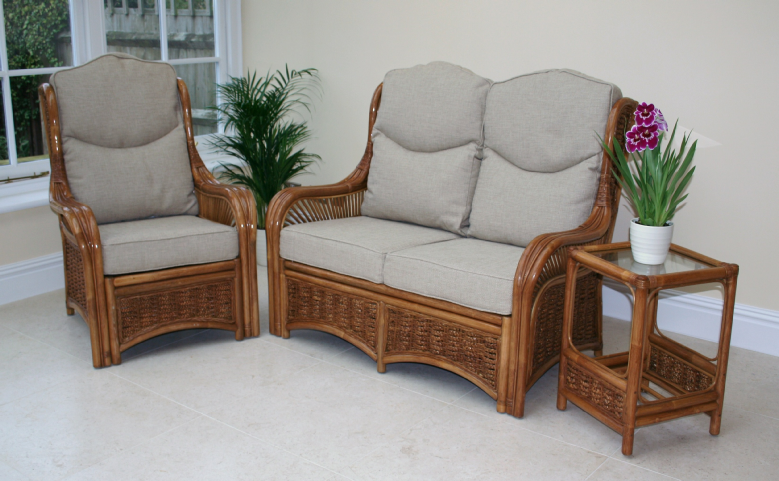 The Harrogate is constructed from finest quality extra thick rattan poles. Its elegant sunrise panel work and hyacinth rope weaving makes it a favourite. Available in either Natural or Walnut finish, with a choice of fabrics.